Completed 1966 as Drupa for STUK. 1968 fitted with fenders and began work as lightening tanker around UK. 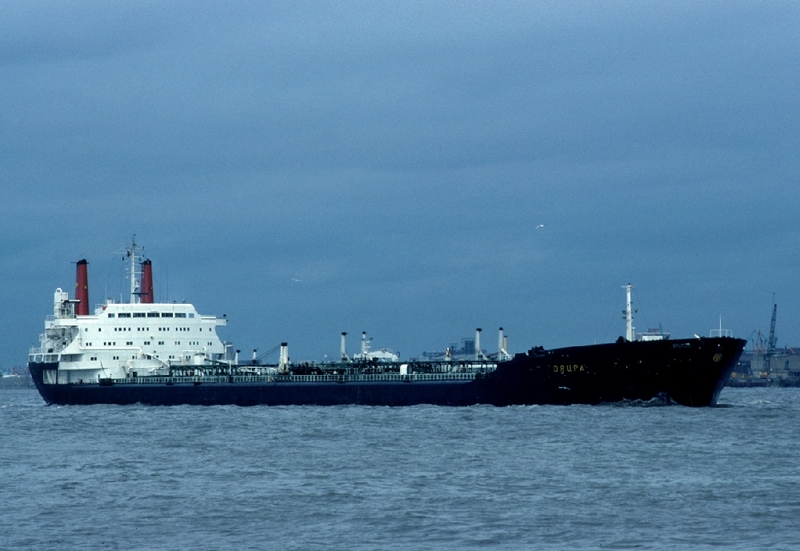 1975 converted for North Sea work from Brent oilfield. 1993 arrived Alang for scrap. James D. Jim Auton chief engineer 1986 Last ship, retired hurt! Does anybody remember listening to 'Radio Geronimo' at midnight after the watch? Drupa alongside at Teessport with the condenser opened up looking for a tube leak, which was eventually found but we were due to sail a full cargo from Teesport to Seal Sands and "Standby" was rung before the condenser could be boxed up. The voyage lasted about an hour and the next movement of the telegraph was "Finished with Engines". I had just come from motor ships and was gaining sea time for my steam ticket so was fairly inexperienced on them. We where sailing down the West Coast of Scotland in a Force 11 and had cleared the lee of the outer Hebrides heading for the North Channel, the seas where huge and it felt like we where surfing down them. As I was taking over the watch at noon from the fourth engineer I asked him if he knew what the over speed trips where set at on the turbines as the shaft revs where peaking at about 140 revs. As I asked the question there was a loud bang as the Bulkhead stop valve tripped and almost simultaneously both boiler superheat safety valves lifted with the boilers on full firing. Fortunately the day work third engineer, an experienced steam engineer, was to hand and quickly reset the LP turbine over speed trip while we dealt with the boilers. This all took a few minutes at panic stations before we got the job back together & where able to call the bridge to advise them of the incident. The Bridge hadna? ?t even noticed the loss of propulsion or the screaming superheat safety valves venting from the funnels in the force of the storm. 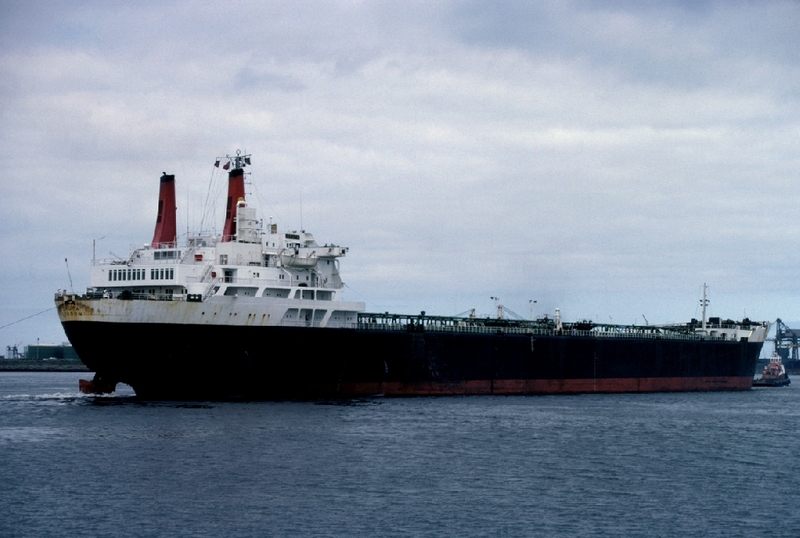 Great times on this ship ,very busy times ,lightening/north sea ,brent spar flyer extra leave then cash it in ,loadsamoney lol .all added up over a 6 month trip .Then back again a couple of months later to start all over again ,great bunch of lads in the light/north sea game from mid 70s to mid 80s . Have you sailed on Drupa (2)? Log in and add yourself as a sailor to the Drupa (2)! Log in and add your personal story to the Drupa (2)!